A leading international law firm Wragge & Co is now working from 250,000 square foot premises housing a £450,000 catering facility to feed its staff. 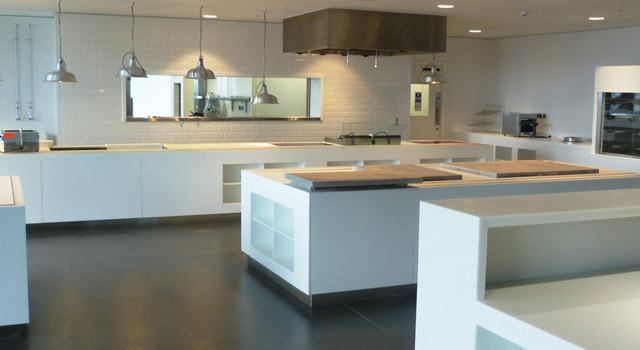 Extensive catering facilities were required for the operation, so foodservice design consultants Humble Arnold were brought in to draw up the plans. ScoMac were awarded the project by main contractor Wates on a ‘design & build’ contract, taking the original Humble Arnold design intent and providing a ‘value engineered’ option with the view of making savings for the client without devaluing the original intent. 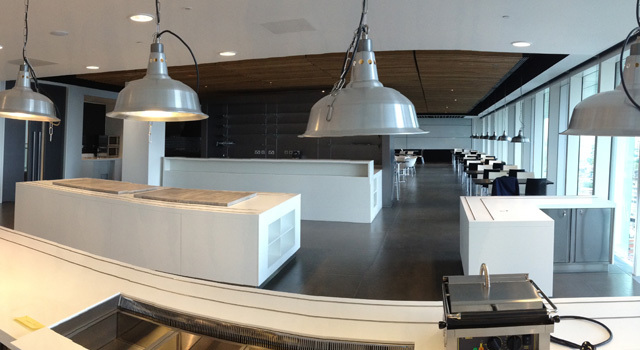 ScoMac offered a number of cost-saving options, which included custom kitchen fabrication and bespoke servery counters produced by itself and a number of alternative suppliers for the prime cooking, refrigeration and warewashing items. 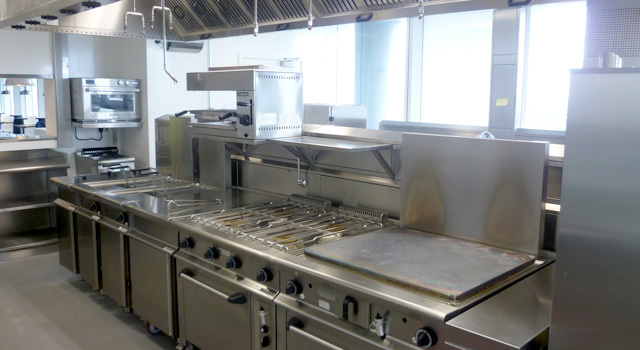 The client and main contractor opted to go with the ScoMac-manufactured elements but decided to retain the core of what was originally specified for the main kitchen equipment. 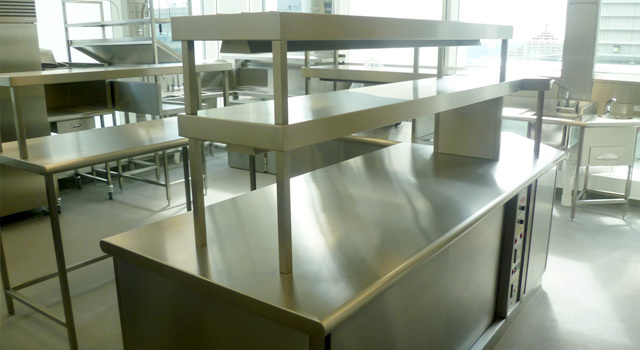 That included cooking equipment from Ambach, Baron and Rational, as well as refrigeration from Foster. The overall specification for the whole building was very high and this was maintained across all areas of the installation that ScoMac completed. 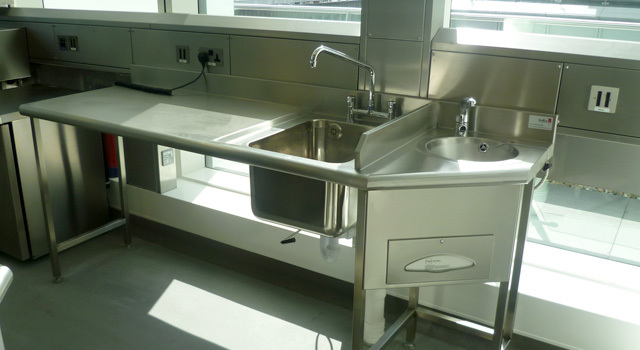 The whole project from order stage took ScoMac 12 months from design to development, including the design of stainless steel service runs in the windows to meet the landlords’ requirements as these could not be fixed at any point to the window structure and the services co-ordination from the 13th and 14th floors to the plant room on the top of the building. This was a great example of how value engineering can be carried out without reducing the initial intent or quality of the equipment or finishes anticipated. 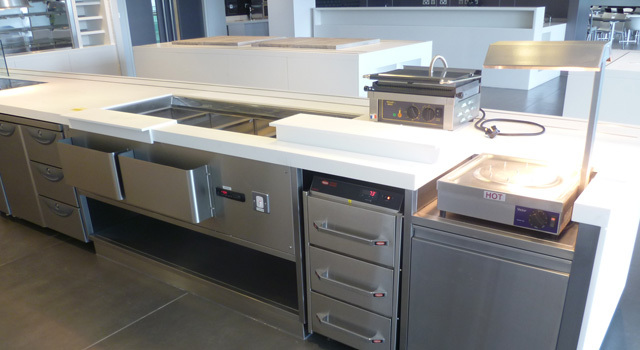 The client was discerning enough to recognise the alternative solutions being offered by ScoMac met his expectations without compromising the original intent; additionally he also understood the merits in sticking with the original specification in other areas such as Ambach prime cooking, Rational combination ovens and Foster refrigeration.